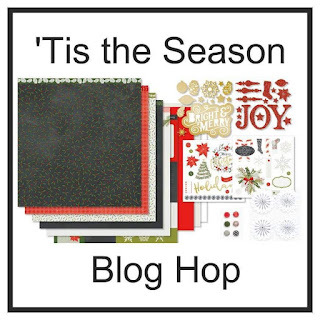 It is time for another Close To My Heart featured paper pack blog hop. This month we are featuring Tis The Season with it's traditional Christmas color theme! If you have hopped over from Haley's blog, you are on the right path! This month I am sharing 'how to use up' those Tis The Season scraps. I used the new Thin Cuts - Fancy Tags (Z4305) to create Christmas tags. I used scraps of Tis The Season and kept it in the coordinating colors of Candy Apple, Fern, New England Ivy with Black as a neutral. A little Cricut snowflake tag finished off these tags. Now head on over to Kathleen's blog to see what wonderful Tis The Season project she has in store for us! If you see something I shared and would like to know more, contact me at (shirley.ross@rockinheartist.com). If you don't have a Close To My Heart consultant, I would love to serve as yours, click HERE for my website. Cute Shirley! Those will come in very handy! What a great way to use up all the scraps!